We know that meditating can improve your quality of life; what we didn’t know is that it can also help you live longer. Researchers at the University of California, Davis and the University of California San Francisco have found a link between meditation practice and the long-term health – and the results are positive. The study “Intensive meditation training, immune cell telomerase activity, and psychological mediators” was published in the November 2010 issue of Psychoneuroendocrinology. Meditation has been shown to reduce stress and an individuals’ ability to cope with stress. In the practice of meditation, we can gain greater insight into ourselves. We can see our anger, stress and pain alongside our joy and happiness. Thich Nhat Hanh (Thây) speaks about the practice of meditation as being a pathway to becoming more aware of who we are and who we are in relation to others and the world around us.Knowing who we are can lead us to understanding the presence of stress, anger and pain in our lives…and we can begin to move through it all with greater ease as the meditation practice continues. This leads back to the research. The researchers tracked the telomerase levels of participants who were attending a three month meditation retreat. Telomerase works to rebuild and strengthen the cells in our bodies. During the retreat participants reported increases in their mindfulness, purpose in life and awareness of one’s life and surroundings. Participants also reported a decrease in negative emotions such as anxiety, anger, guilt and depression. Here’s the benefit of this transformation. Mediators who showed improvement in mindfulness, purpose in life and awareness and a reduction of stress and anxiety related experiences had the highest levels of the life generating enzyme, telomerase. The researchers found that high telomerase activity was a result of meditation. Meditation brought peace of mind to the participants, which in turn allowed their bodies to fully function. BONUS! This study is the first to link an enzyme called telomerase to positive well being and long term health. Every moment of our lives cells in our body degenerate. Telomerse helps to regenerate cells that have degenerated and studies suggest that this enzyme may be the connection between psychological stress and overall health. This study is not showing that meditation helps our bodies to produce telomerase; no…it means that meditation increases our sense of well-being which in turn helps our bodies to produce telomerase which aids in rebuilding new cells. Think of it this way. More stress makes it difficult for our bodies function at peak performance and to regenerate. 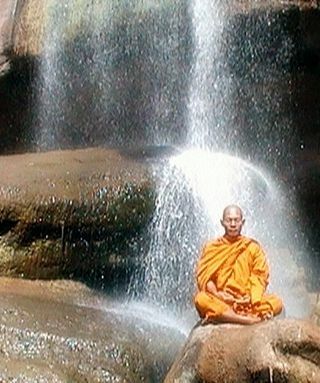 Meditation is a pathway to a peaceful mind, body and spirit which in turn decreases our stress. This may not be new news for those who have been practicing meditation for years. But this research study shines a light on the almost hidden positive benefits that meditation has on an individuals’ overall and long term health. It’s not just about sitting to reduce one’s stress; it’s about sitting to reconnect with one’s body, mind and spirit. That connection is vital for healing and health. Over the past year, studies have been published that have shown that mediation increases attention span, reduces the emotional impact of pain, and helps cognition. Now we understand how mediation is an essential tool that helps our bodies more effectively recover from the harshness of our experiences. Why not take the time to stop and be mindful in our daily practice? Doing so may aid in our recovery or healing process from all those stressful things that shock and dismantle our beings.